"Pennatronics has excellent quality manufacturing capabilities. Their team is very willing to do what's necessary to meet our requirements." "Pennatronics has on many occasions, saved us from ourselves, in terms of record keeping and knowledge of the products that they build and repair. We are looking forward to building this relationship further." We build our business around the needs of our customers. 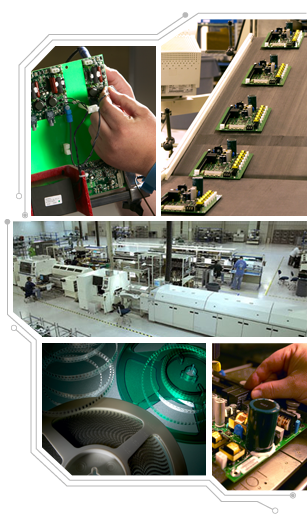 At Pennatronics, we take great pride in our achievements as a customer-focused Electronics Manufacturing Services provider. Our 70,000 square-foot manufacturing facility is state-of-the-art in every respect. Every project is driven by efficient, rapid-response methodology, stringent quality control and highly skilled personnel. We deliver exceptional service, including customer design support, board assembly, testing, and box build – all at competitive pricing. Our services benefit both high-mix, low-volume OEMs as well as low-mix, high-volume OEMs. We specialize in complex builds and tight turnarounds, and our size and flexibility enable us to custom-tailor our facility and staff to meet your biggest demands. We like to think of our services as an extension of your manufacturing capabilities, so when you choose Pennatronics, you can count on a partner that's focused on your goals.